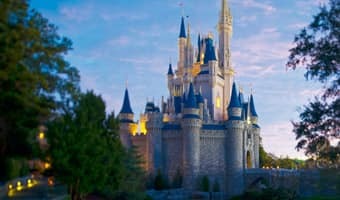 By staying in a Walt Disney World Resort Hotel, you'll get Disney's Magical Express® airport transportation, the in-room ESPN Wide World of Sports TV Channel, and easy access to our world-class Theme Parks. These are just three of the reasons to stay here and that will help make your visit to the Walt Disney World resort truly unforgettable! 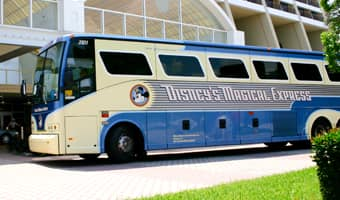 If you are flying into Orlando International Airport, you may take advantage of Disney's Magical Express, a complimentary service that will transport you, your team and your team's luggage from Orlando International Airport to your Resort. 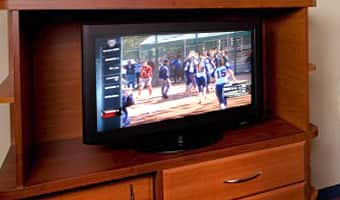 Once the games start, tune your in-room television to the ESPN Wide World of Sports Channel. 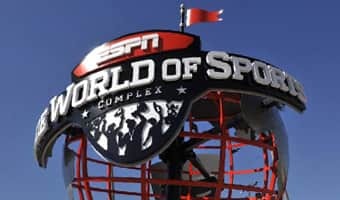 Located on channel 25, next to ESPN and ESPN2, we broadcast video highlights and coverage from ESPN Wide World of Sports Complex. 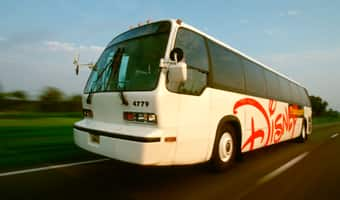 For select event weekends, you may also take advantage of resort bus transportatiuon that travels between the resort and ESPN Wide World of Sports Complex on game days. 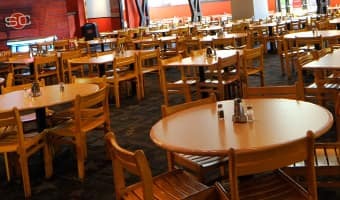 Additional amenities include complimentary wi-fi, online check-in, laundry services, merchandise delivery, pick up, and standard beverage cooler or mini-fridge. 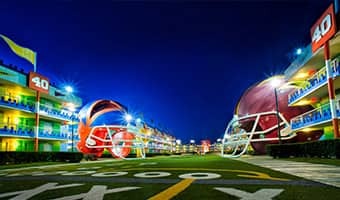 With rates that are team friendly, transportation to and from ESPN Wide World of Sports Complex on game days and a pool and food court, Disney's All Star Sports Resort has everything your team needs for your sports vacation. Looking to upgrade your resort stay? 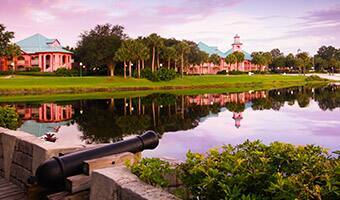 Disney's Caribbean Beach Resort provides a tropical, island paradise for your team to rest and relax between games. The resort features unique recreation experiences like a caribbean beach campfire and boat rentals. Slip into a Spanish-colonial oasis at Disney's Coronado Springs Resort. 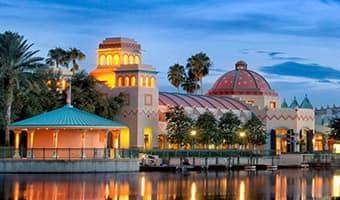 Located near Disney's Blizard Beach Water Park, Disney's Coronado Springs can offer your team unique dining options like the Pepper Market and Maya Grill. Be sure to review your event travel requirements, which may include booking a resort stay through Disney Sports Travel or one of our approved travel providers. See the full list of hotel options available to your team at the Walt Disney World Resort.